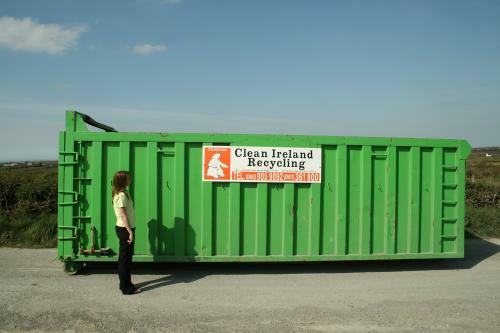 The “TYPE 35” skip from Clean Ireland Recycling is ideal for large scale projects. It is designed for the safe removal of bulky material. It is not to be used for extra heavy materials such as soil, builder’s rubble, C & D waste, etc. 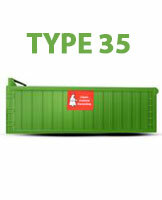 For a price on our TYPE 35 skip, please contact our office or send an enquiry by email. The price may depend on the material type. We can sometimes offer better rates depending on the recoverability of the material. Suitable for Large scale clear outs, Industrial or Commercial renovations, Large scale Construction & Demolition projects, etc.